Do you have a bare, and lonely fence? Why not give it some butterfly friends? 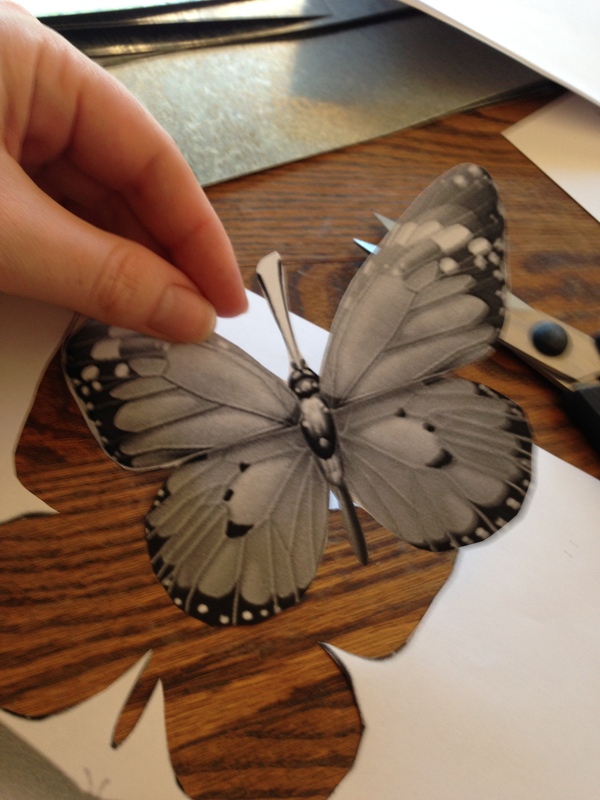 Apparently butterflies are all the home decor rage and I’m the DIY blogger late to the butterfly party…Our project inspiration came from these beauties at Katrina’s awesome blog Design Fabulous. I may not be an interior designer by nature, but I absolutely love landscaping and yard art. We needed a focal point in our backyard (other than telephone poles and wires), between our privacy screens. 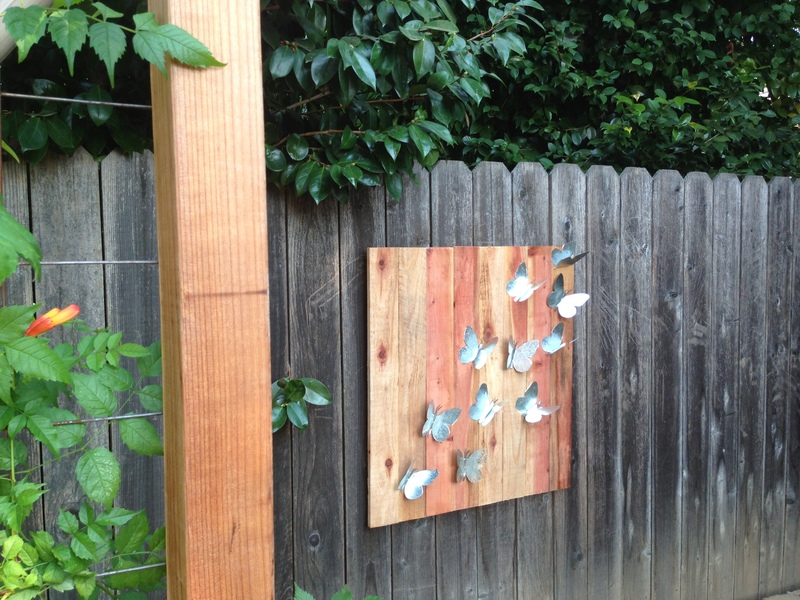 Also this butterfly yard art has to be tough, able to stand up to the elements and Sacramento heat…Hence redwood fencing and roof flashing butterfly fence art! Here it is again, peeking out to the side of our redwood privacy screen. 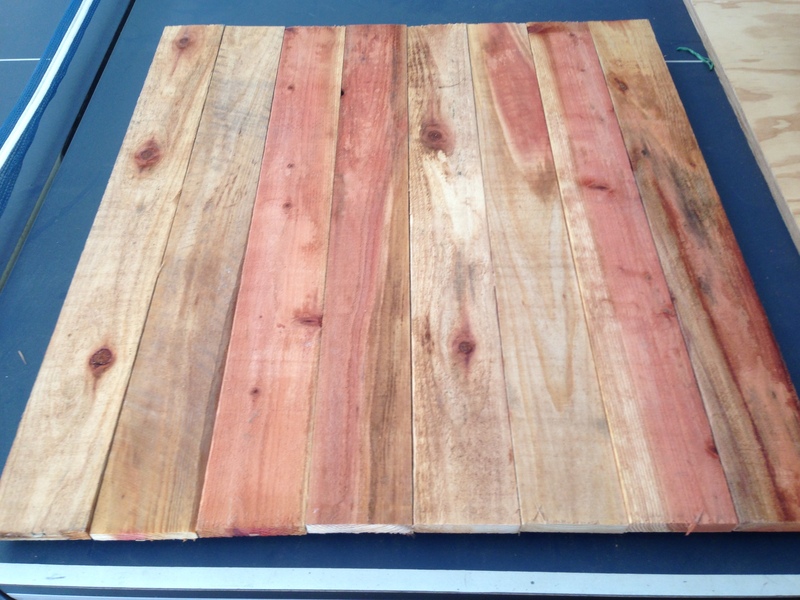 The materials were free from our previous Fence staining and Roof flashing backsplash projects. 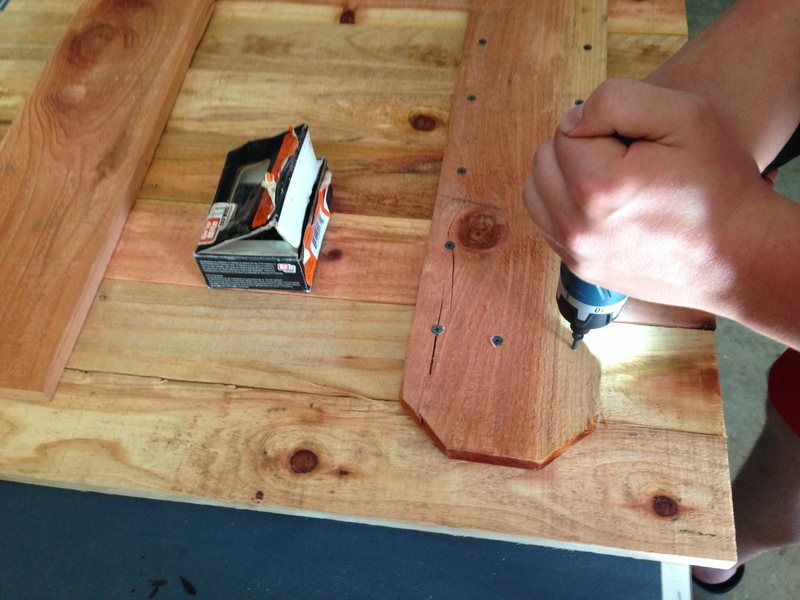 This little guy is very economical, simple and easy to create. 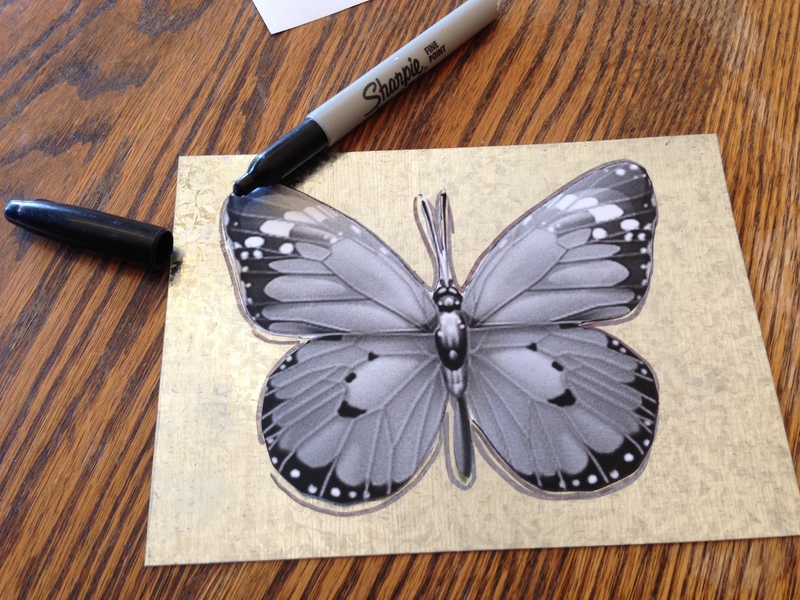 First, find some butterfly clip art in Word, cut out the shapes to create a stencil, and trace them onto the roof flashing with a sharpie. Also don’t kill your hands and spirits by trying to tackle it all in one day. 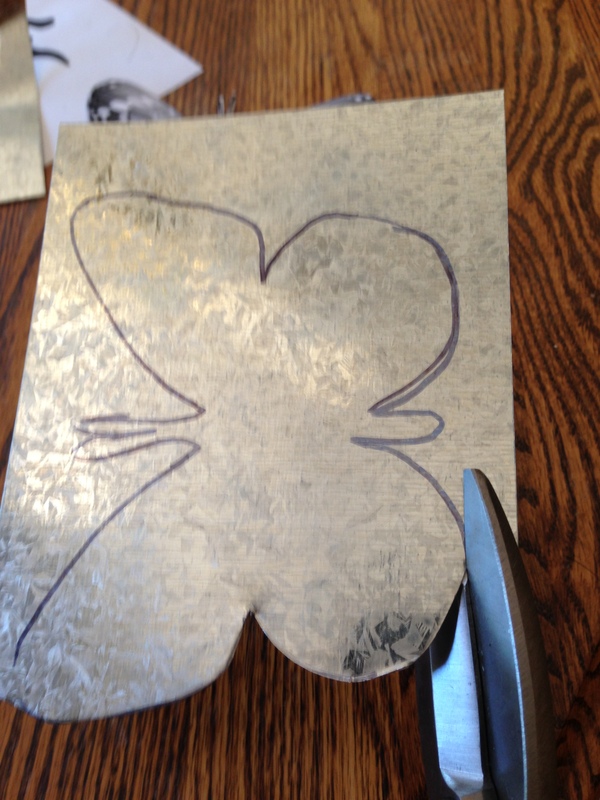 Cutting out butterflies with tin snips can take some time and your hands will be sore, best strategy is to cut a few at a time each evening. 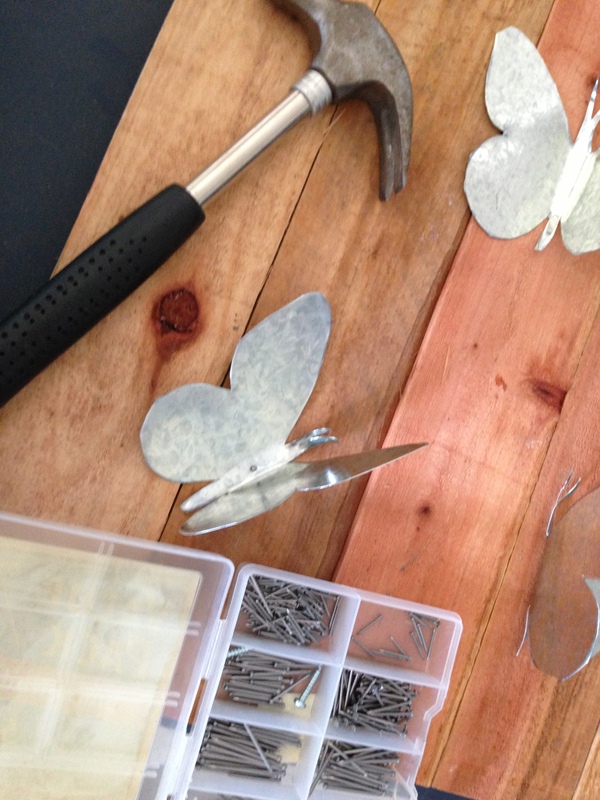 Then taking the metal butterflies and some tiny picture nails, we hammered them into the wood at different angles. 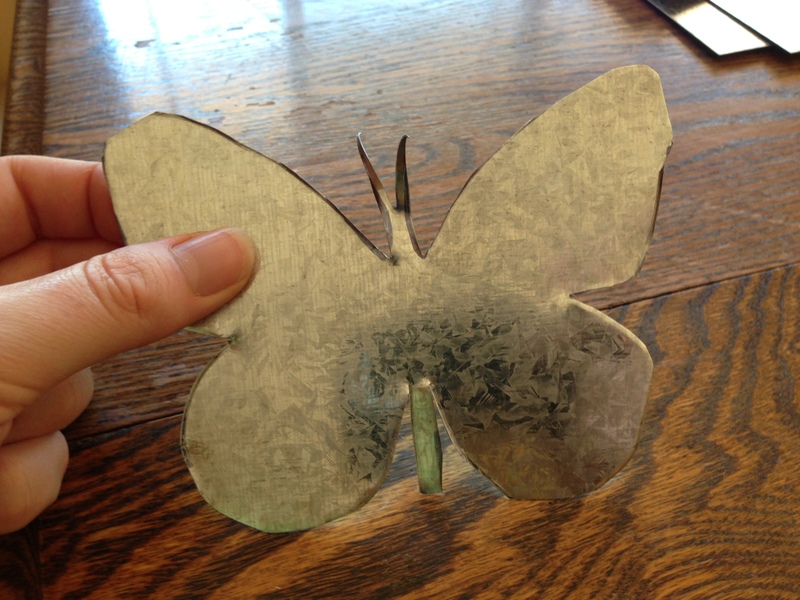 Another neat trick was to bend the metal flashing to give the look of butterflies in flight. Finally we screwed some picture hanging hardware and a plastic covered wire on the back. 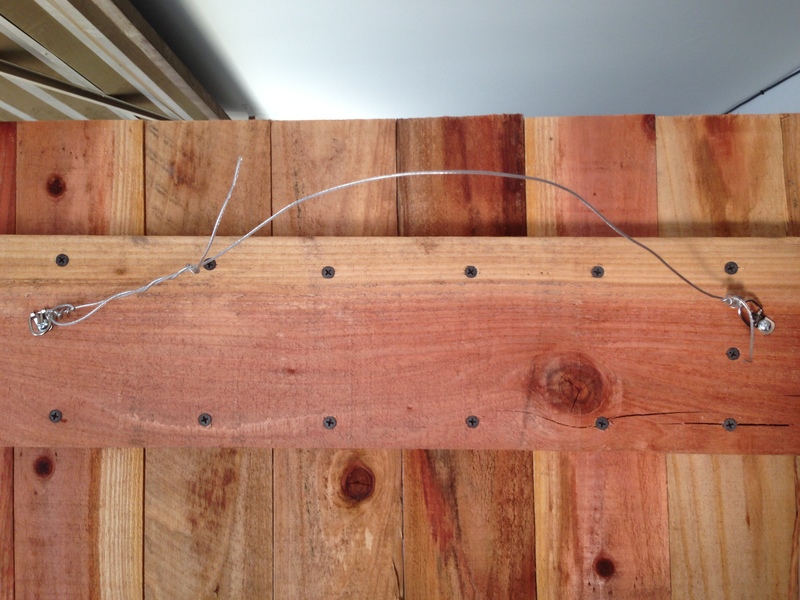 Setting two wood screws into the strongest part of the fence and using a level to make sure the art piece would hang straight. 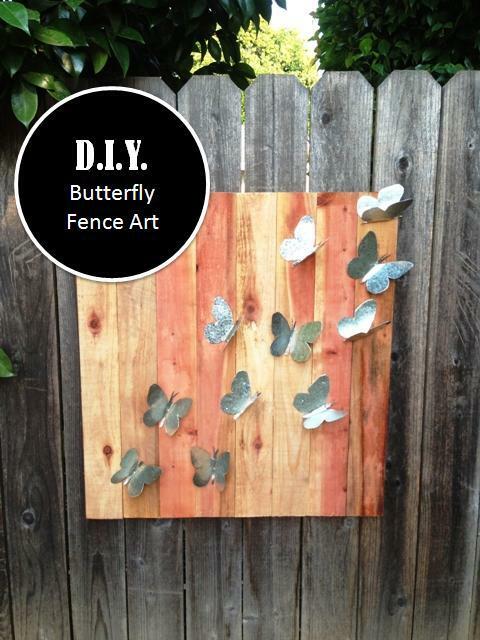 Easy Butterfly Fence Art! This entry was posted in Dogscape Design and tagged Butterflies, Butterfly, butterfly fence art, butterfly wall art, DIY fence art, fence art, Garden, redwood fence art, roof flashing art, roof flashing butterfly by Tandra. Bookmark the permalink.